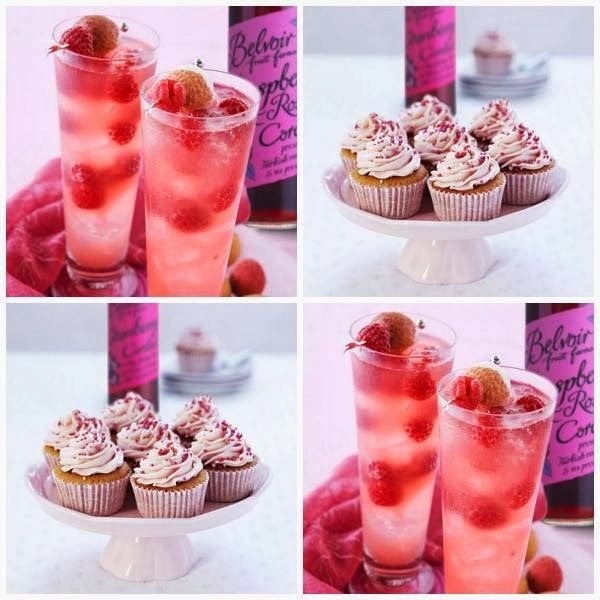 Belvoir Fruit Farms Cranberry Cupcakes And Raspberry Blush. How yummy!? Preheat the oven to 180C/Fan 160oC/350oF/ Gas Mark 4. Line a 12 hole deep muffin tin with large paper cases and place the tin on a baking tray. Sift the flour, sugar and baking powder together into a large bowl. Add the butter, cordial and egg, then use an electric whisk on slow to blend the mixture together. Once it has come together whisk on top speed for 1 minute. Divide the mixture between the cases, filling each two thirds full. Bake for 20-25mins or until risen and firm to the touch. Cool in the tray for a few minutes before transferring to a wire rack to cool completely. Sift the icing sugar into a large bowl, add the butter and cranberry cordial and use the electric whisk on slow, to bring the ingredients together. Then increase the speed and whisk for 1 minute or until the mixture is fluffy. Use a round-bladed knife to spread, or piping bag fitted with a star-shaped to pipe each cupcake with the icing and decorate with sprinkles or your choice of toppings. Add all ingredients to a cocktail shaker and shake with plenty of ice. Strain into a hiball glass over fresh cubed ice. garnish with a lychee and raspberry on a stick. 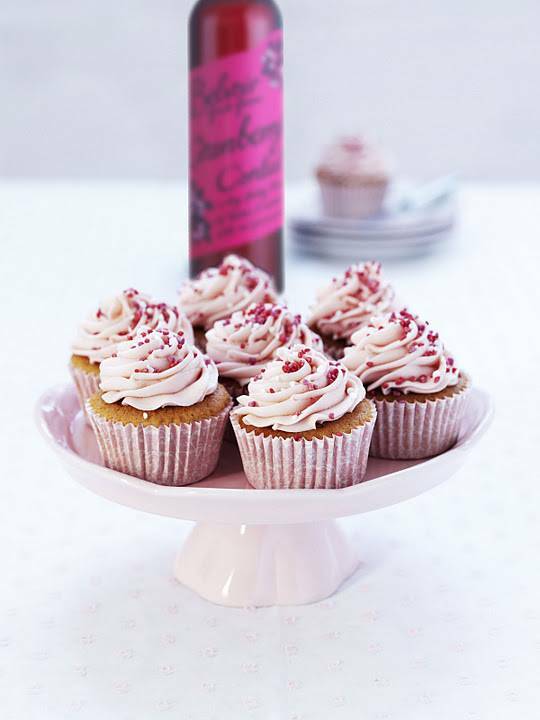 What do you think of this Belvoir Fruit Farms Cranberry Cupcakes And Raspberry Blush recipe? 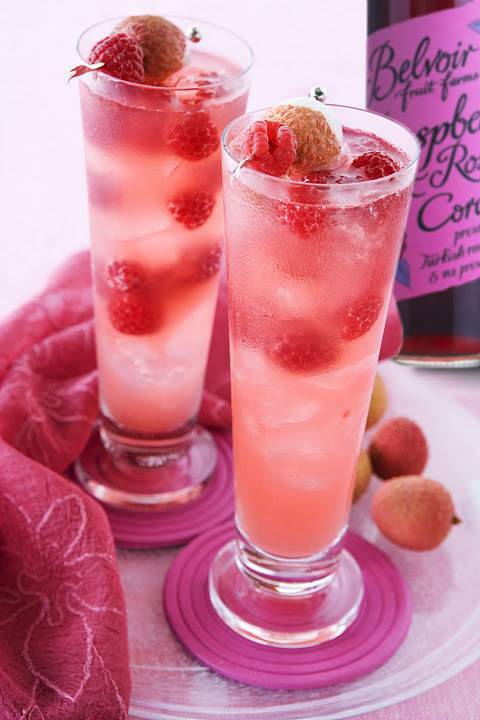 Recipe and photo credits- Belvoir Fruit Farms. How To Make Fruity Rocky Road. Elderflower And Lemon Drizzle Cake. The cupcakes look great. But at this point in the evening I am going for the raspberry blush. That looks amazing! !